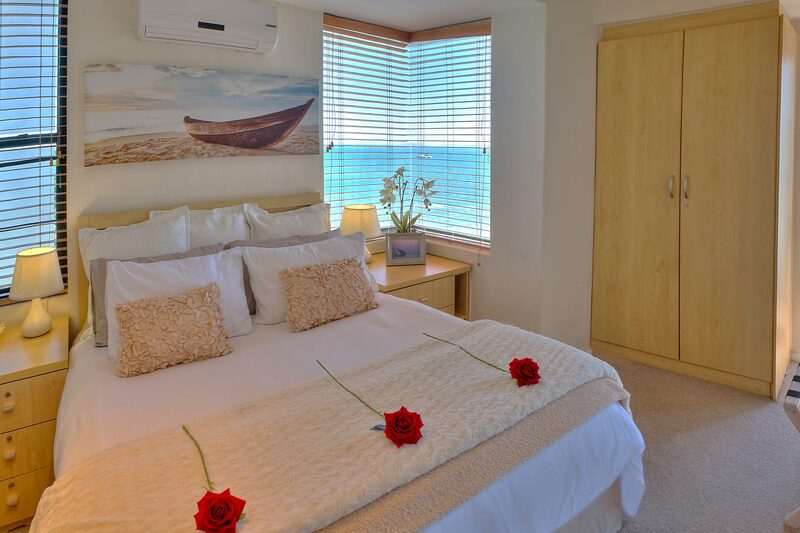 This romantic suite offers cosy quality finishes and magnificent ocean views with the sound and fragrance of the sea, which is just a few meters away. The bedroom is surrounded by sea-view windows and has a door leading to a ‘ship-deck’ balcony, just over the waves – we jokingly say, “No diving allowed!” With a view of moonlight on the sea and sparkling lights across the bay, it is wonderful to sleep with the door open and hear romantic sound of the waves splashing below. The deluxe bathroom between the bedroom and lounge offers access from both rooms, thus offering privacy. 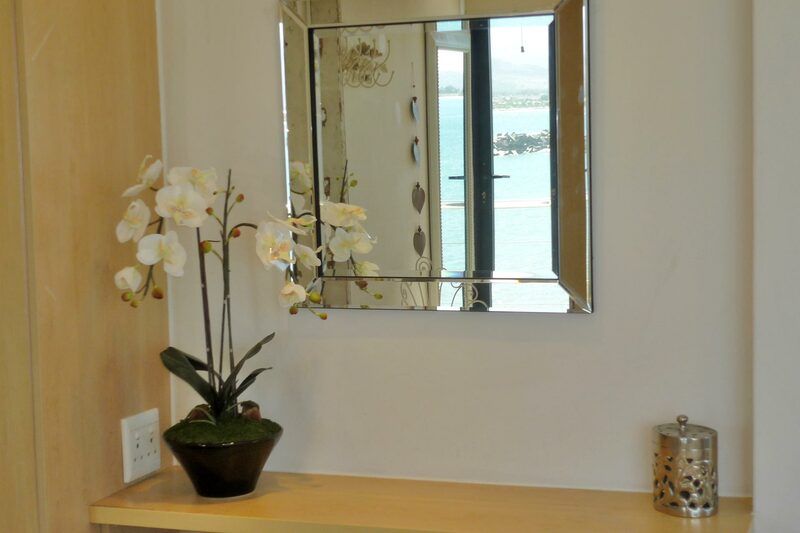 With chic finishes the large, modern shower with a granite seat has a spectacular sea view. 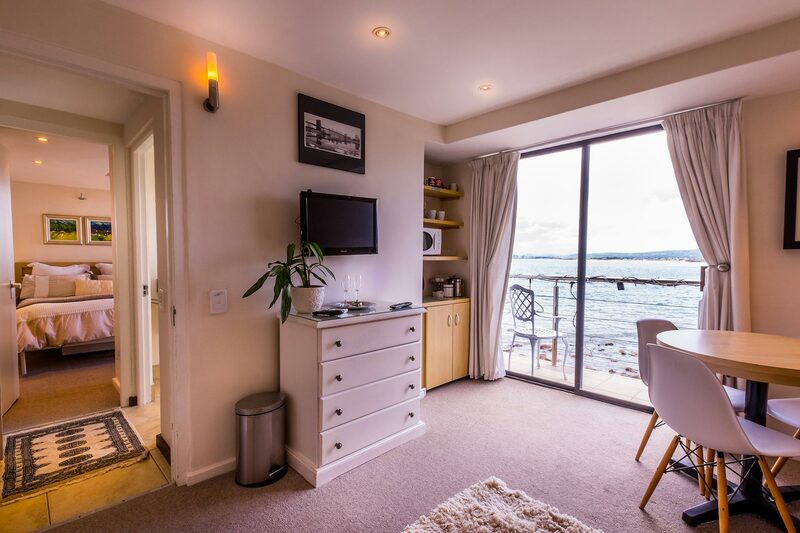 In the separate lounge, the comfortable double sleeper couch is ideal for those economising and a café table is a delightful place to work and also gaze out to sea. 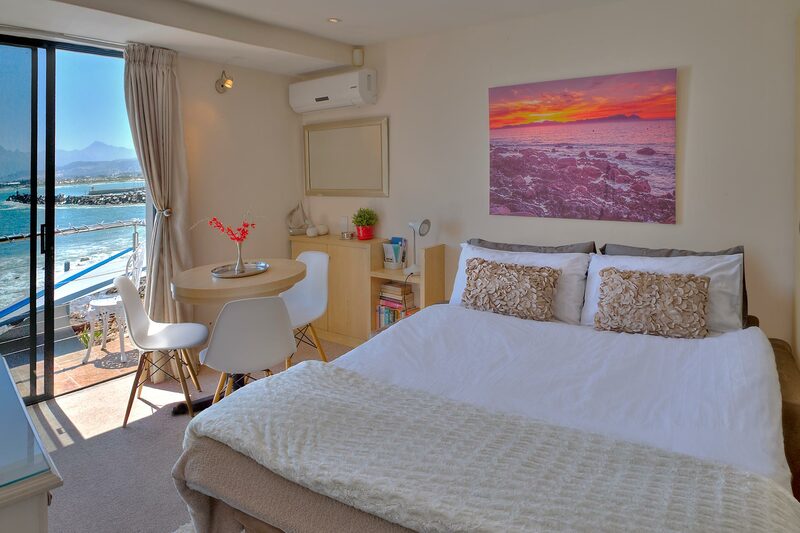 A Bed and Breakfast option is offered or, If you prefer to not go out to enjoy the nearby seaside restaurants, you can prepare a light meal and dine while watching the waves. 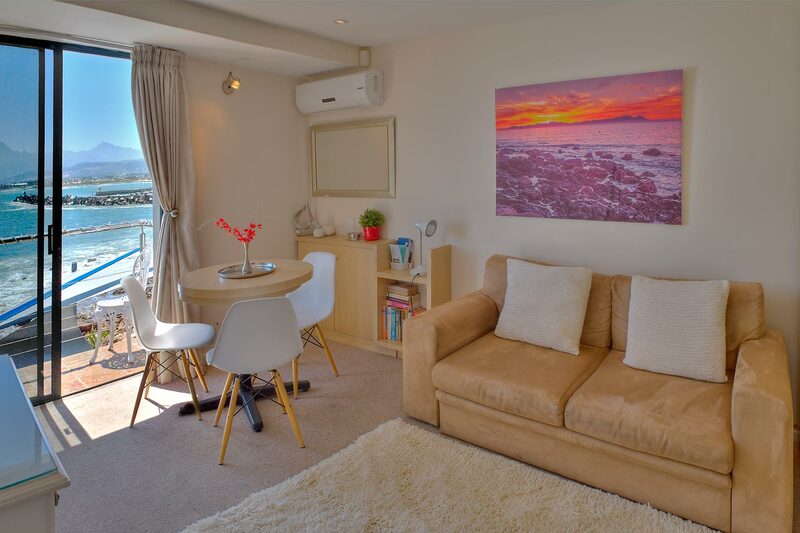 The awesome ocean views and the sunshine that floods into this suite in winter make this a cosy suite for a romantic honeymoon or special occasion … or a relaxing holiday. Barbecue: Gas barbecue on granite server on pool deck. Balcony: Sit or stand to watch waves. Sunny. 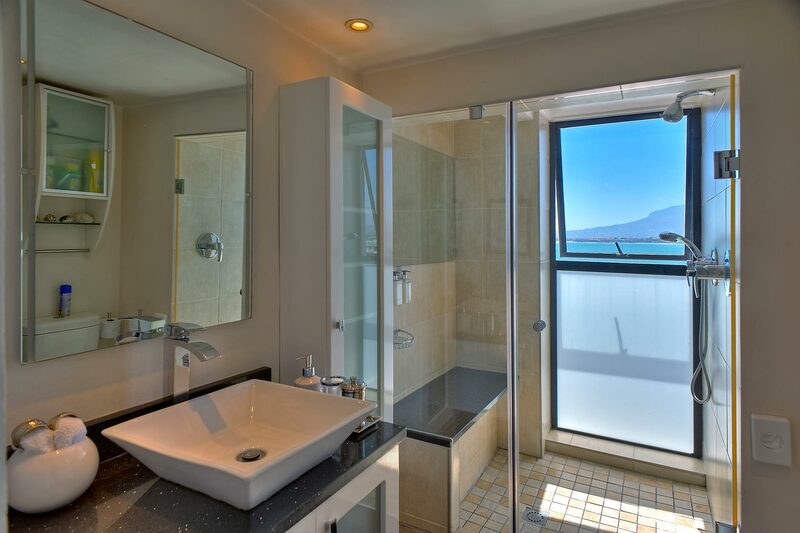 Showerroom: Sea-view large glass shower with technistone seat, heated floor & towel rail. Access: Gentle stairs to 1st floor via reception.